At some point in our lives, we all dream of traveling. Whether it be to seek out new adventures domestically or abroad, make new friendships, experience new cultures or simply gain new memories, there is something for all of us. Here, at the University of New Haven Office of Study Abroad, we would like to help make these dreams come true and give our students the experience of a lifetime. In 2006, University of New Haven President Steven H. Kaplan and CEA CEO Brian Boubek signed an agreement through which the University of New Haven became CEA’s “school of record.” Through this partnership, students who complete courses at CEA Study Abroad Centers – located in Barcelona, Buenos Aires, Dublin, Florence, Paris, Rome, Seville, and Shanghai – earn University of New Haven credits on University of New Haven transcripts. Although students attending CEA programs will be obtaining University of New Haven credit on University of New Haven transcripts, the tuition and fees for each program differs from the normal University of New Haven tuition and fees. Please refer to the program details for how much this cost will affect you when deciding on your program choice. We encourage you to explore all of our programs, including our third-party provider opportunities. 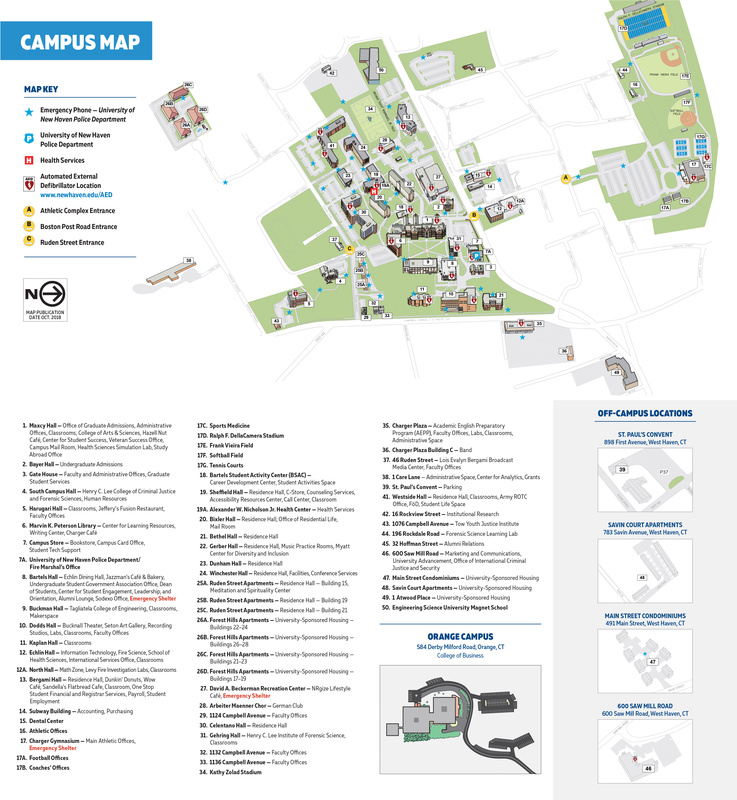 From the program menu, either by clicking the link or in the menu bar above, you are able to search for programs based on a number of criteria such as term, location and major areas of study. When looking at a program brochure page, you will be able to see important program information and either ‘Request Information’ or ‘Apply Now’. When you click Apply Now you will be directed to the Application to Study Abroad. Please note that for most of our third-party providers, the process itself consists of 2 parts: 1) Applying with the provider directly 2) Completing an application using the apply now button in the program on this site to fulfill the University of New Haven Requirements. 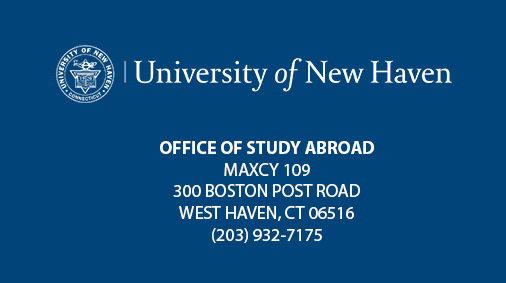 To set up an appointment or discuss your interests with any of our staff members, please email studyabroad@newhaven.edu or visit the Study Abroad Office located in Maxcy 109 (Building 1 on the campus map found here) during our office hours.